Vredenburg Manor House, a top four-Star Guest House, is in the heart of the Cape Winelands, and nominated, by two of the leading booking portals, as the second-best establishment in Somerset West and Stellenbosch. Located on Winery road Somerset West, it is perfectly situated only thirty kilometres from the Cape Town International airport, which makes it a perfect location to either start or end your holiday. This Cape Dutch style guest house offers five spacious rooms and two cottages. Both cottages are fully equipped with a fully fitted modern kitchen, thus giving you the opportunity to book the cottages as self-catering or bed and breakfast. Vredenburg Manor House features an exotic garden, watered by borehole and greywater, and an outdoor swimming pool with lots of space to soak up the sun and enjoy a view of the Hottentot’s Holland Mountain Range. The elegantly decorated rooms offer the most comfortable super king size beds with pure three hundred thread-count Egyptian cotton bedding, ample seating, satellite TV with more than twenty channels, coffee stations with an espresso machine and a mini bar fridge. All rooms and cottages are air-conditioned and have underfloor heating. Situated nearby Stellenbosch and Somerset-West, the property is close to a variety of restaurants and bars. Dinner, Packed lunches and special diet menus are available on request and can be served in beautiful surroundings or next to a cosy fire place. During summer guests can lounge next to a beautiful pool set in manicured gardens. Other activities to be enjoyed includes hiking, wine tasting, mountain biking, and diving in the nearby surrounding areas. We are situated only forty kilometres away from cape Town, while Stellenbosch, the town Somerset West and their surrounding wine routes & restaurants are only a few kilometres away. A bicycle rental service and free secure parking is available. Shuttle services are available at an extra surcharge. We speak the following languages: German, Dutch, Afrikaans & English. 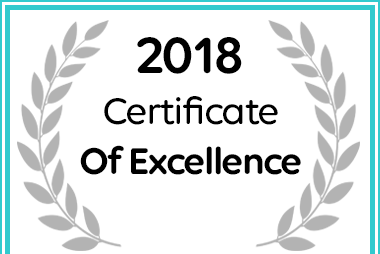 Vredenburg Manor House in Somerset West received an Afristay 2018 Certificate of Excellence Award.